Dinosaur Sim allows you to play as one of the 20 popular Dinosaurs. 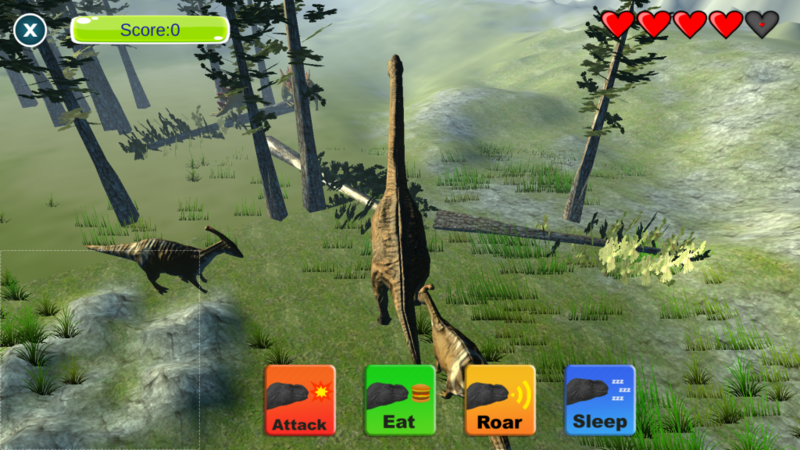 Fight your way to the top of the food chain or play as a peaceful herbivore in a realistic 3D environment. Each Dinosaur is beatify animated and has realistic sounds. Dinosaur Sim is action packed but also has educational modes in a perfect mix to keep you playing and learning for hours.